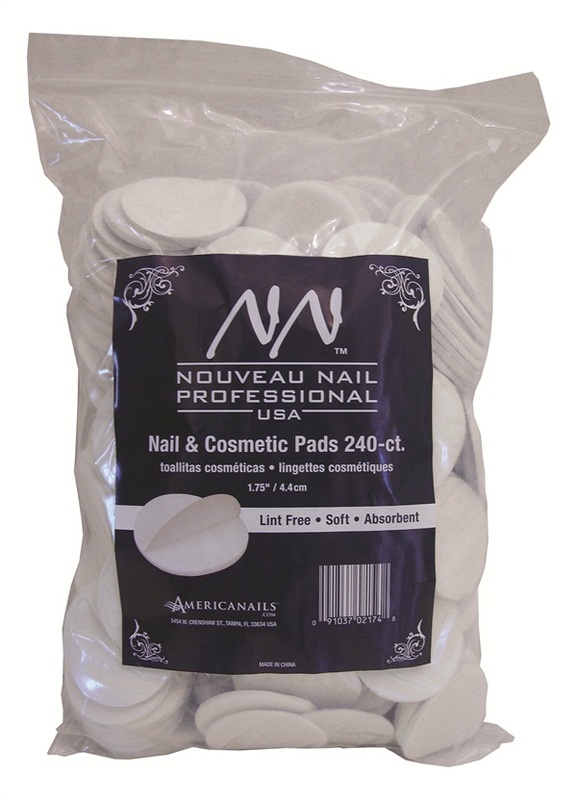 The Nail and Cosmetic Pads from Nouveau Nail are premium nail pads that remove polish without damaging a nail tech’s own manicure. A convenient thumb tab allows for the pad to be held securely between the thumb and forefinger, preventing fingers from coming in contact with acetone. Each pack includes 240 lint-free, absorbent pads 1.75-in. in diameter.